Throughout the weekend, there are several periods of “couple reflection time” – we spend about an hour or so with just the two of us, praying together, answering reflection questions, and talking about how life is going and what we can do to improve. During the very first couple reflection time of the weekend, we were sitting on a bench in front of a pond, filled with fish and turtles. The weather was beautiful, so we were enjoying the outdoors while having a great conversation – bringing up struggles in our marriage and how to grow together. That short time together was so fruitful, and we were feeling pretty good about it while excited about the rest of the weekend. We knew God was with us and could feel the Holy Spirit moving! Afterwards, we couldn’t help but think of what a great metaphor that was in married life (and life in general). There are times where we are doing really well in our relationship with God and with each other, and that’s exactly when the enemy is going to try to distract us. A lot of times we won’t even realize our focus is being drawn away from what’s important. We all know that the enemy is going to attack us when we’re weak, but we tend to forget that he can be sneaky and distract us when we’re strong too. That’s why it’s important to come together on a regular basis, to share our hearts with each other. We need to make sure we’re keeping our focus on God and not being drawn away by the enemy. A marriage retreat is a great time for us to do that – and why we try to go on one every year – but sometimes life circumstances don’t allow for us to go away for a weekend. That’s okay, though! We can still set aside time together – whether it’s a few hours one day, or an overnight date, or any other scenario – where we reevaluate all areas of life and where we have intentional conversation together. It was really painful to watch at times, seeing two people – who vowed to love each other for better or worse – not treat each other very well. It was even more painful to see the husband try to make things work but be shut down by the wife, who was still remembering painful things he had done in the past. This couple ended up getting into a situation where they both thought they were going to die. Emotions in this scene were running high, obviously, since they thought it was the last time they would see each other, and they still hadn’t reconciled anything when it came to their struggling marriage. It didn’t help when the man figured out a way that the woman could survive if he basically sacrificed himself. She was really struggling, probably because she couldn’t seem to forgive her husband for the past…yet he was willing to die for her. I have to be honest and admit that when I think about the earlier years of our marriage, I did spend way too much time being angry at Logan for the stupidest things. I was too focused on what I wanted, I didn’t spend enough time thinking about how Logan felt in any given situation, and I wasn’t thinking about things in light of eternity. Fortunately, I’ve come a long way since then, but I still need to be reminded from time to time. Because the truth is, we don’t know how long we will have with our spouse. It could be many years (and hopefully it will be), but it could be months…or even days. I’m not saying that to freak people out. I’m saying that so we can focus on what’s truly important. As husband and wife, our goal is to get each other to heaven. It’s easy to forget that when life is full of so many other things. I’m saying this as a reminder (especially to me) that we might not have all of the time we think to work on our marriage. Don’t wait to make your marriage a priority until your kids are older, you have more money, or any other number of scenarios. That time might not come. Do whatever you need to do to make things right with your spouse. Pray together, talk to each other about your struggles, go to counseling, resolve a fight the same day it happens. Ask God for guidance – he will not abandon you. Just like we need to be prepared for when Jesus comes again, we need to be prepared for the possibility of death coming sooner than later. If Logan died tomorrow, I can honestly say that we’ve been living the best life with each other this last year. We’ve been working harder than ever on our marriage. We don’t want to have any regrets! Thankfully for the husband and wife in the show, they ended up figuring out a way to survive together. And while they still had a heck of a lot to work through after that, they realized they didn’t want to waste any more time being mad at each other. Marriage is going to have its hard moments, even in the best of marriages. But the important thing is to love each other through them and remember to make every single day count. A couple of years ago, we realized the importance of coming together on a weekly basis to prepare for the upcoming week, share concerns and struggles with each other, and to affirm each other. So we wanted to create a simple and tangible way for married couples to connect every single week. The PDF file is 67 pages, so I recommend printing the pages you want to use (you don’t have to use the extras! ), hole punching, and then putting them in a binder. That way, you can cut up the extra notes and Scripture pages and put them in the binder pockets to grab when you need one! Logan and I have been meaning to do a video about this book since we’ve read it together over the summer. Even though we’ve been praying together since before we were married, we still gained a lot of insights from this and it’ll probably be a book we refer to again from time to time. (There was a chapter on praying through difficult times, a chapter on praying through decisions, etc.) This would be really helpful for couples who haven’t prayed together before or haven’t been consistent about it. I don’t know why I had not read this before now! It came highly recommended, and now I can’t recommend it enough. 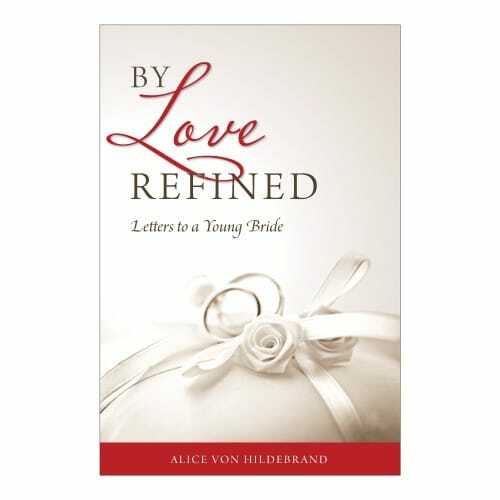 Every woman should read this, preferably in the first year or two of marriage! It’s one of those easy reads that is good to pick up every now and then for a refresher. This book really inspired me (even more) to focus on the sacramentality of marriage and the importance of all sacraments as a part of our daily lives. I really had a bunch of epiphanies reading this, like God creating the marriage of Adam and Eve as the first relationship on earth because marriage is the foundation of society. Our society is failing because marriage is failing! I could go on and on but you should just read it, even if you’re not married. Learning about temperaments has been such a game-changer for our marriage! I’ve read the original temperament book and the one about children and wondered if I needed to read this one too, but I ended up really liking the specific examples given for married couples. Did you read any marriage books this year? Which one was your favorite? When we really think about it, Advent and marriage have so many connections. In marriage, our goal is to get each other to heaven. Plus our relationship with our spouse is supposed to be a foretaste of heaven! In Advent, we’re preparing not only for the birth of Jesus, we’re preparing for when he comes again. It’s a reminder that we need to be ready! We want to be with him in heaven. 1. Commit to a spiritual practice together. Been wanting to start praying a daily Rosary as a couple? Advent is a great time to start. Attend an extra Mass together during the week. Pray an hour from the Liturgy of the Hours each day. 2. Read a book together. Devotionals are big during Advent, and I helped write an Advent devotional for Catholic couples! Read more details here. A book of the Bible counts as a book! Reading through one of the Gospels together leading up to Christmas is a simple but beautiful way to connect in a faithful way. Normally watch Netflix every night together? Try to limit it to once or twice a week. Put your phones aside when you’re together for a designated time each day. Doing both of those will give you plenty of time to do any of the previous suggestions! 4. Don’t feel like you have to attend every party. Seriously. It’s okay to politely decline an invitation! Especially if you’re already feeling overwhelmed. December is a crazy time, and if saying yes to every single event will leave you frazzled and forgetful of what Advent is all about…just say no. Keep each other accountable to this! 6. Decide on which traditions to do this year, and shelf the rest. Really, it’s okay. Last year, Logan suggested we not take out our Jesse Tree (after struggling with it the previous two years), so I realized that he was right. Not every tradition will be right for your family every year – especially if you’re in a difficult phase with pregnancy, a baby, illness, or any other number of scenarios. Do what what works best for your family this year. But make sure you decide on that together! The important thing is that you keep Advent in Advent. Let’s keep Jesus at the center of this season. Christmas will come, and then you can celebrate! What else would you add to list?